Equipped with all the bells and whistles you never knew you needed, this power lift recliner will truly enhance your life. The smooth power reclining mechanism allows you to change from lay flat to fully upright and every position in between at just the touch of a button. For added comfort, this recliner also offers the ability to adjust your lumbar support and headrest for a completely customized position. Stay connected with friends and family while you relax with the USB charging port installed on the power control. When not in use, conveniently store the remote control in the side pocket for safe keeping. 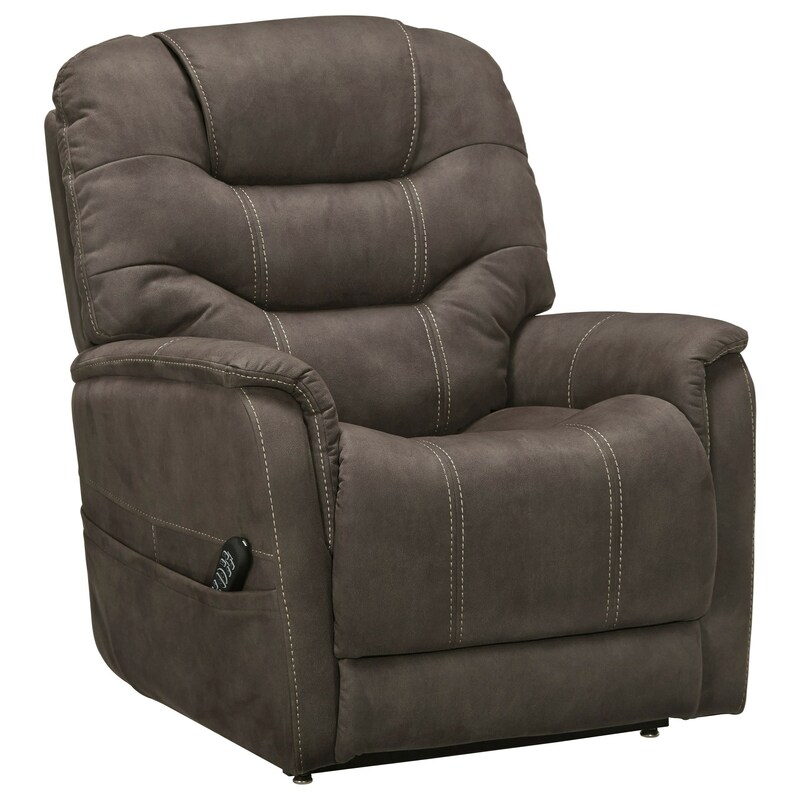 The Ballister Power Lift Recliner with Power Adjustable Lumbar and Headrest by Signature Design by Ashley at Household Furniture in the El Paso & Horizon City, TX area. Product availability may vary. Contact us for the most current availability on this product. Recliner Mechanism The power reclining mechanism features infinite positions for comfort, power lumbar, power head rest, and lift feature for ease of exiting.